Florida’s leading mobile massage therapy service for couples seeking therapeutic spa services in the comfort of their location. 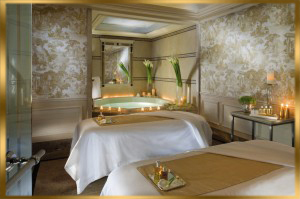 Indulge in a mutual form of true love and bliss with our serene couples massage, facial or body wrap for two. Whether you are at home, in room hotel-suite, resort or vacationing on the beach, you can now receive a little luxury while you travel. You will be provided tranquil music, scented vanilla fusion candles, fresh linens, incense and serene aromatherapy oils. You can arrange to have two massage therapists perform a side-by-side couples massage, or enjoy a discount by having a single therapist come to perform back-to-back couples massages.